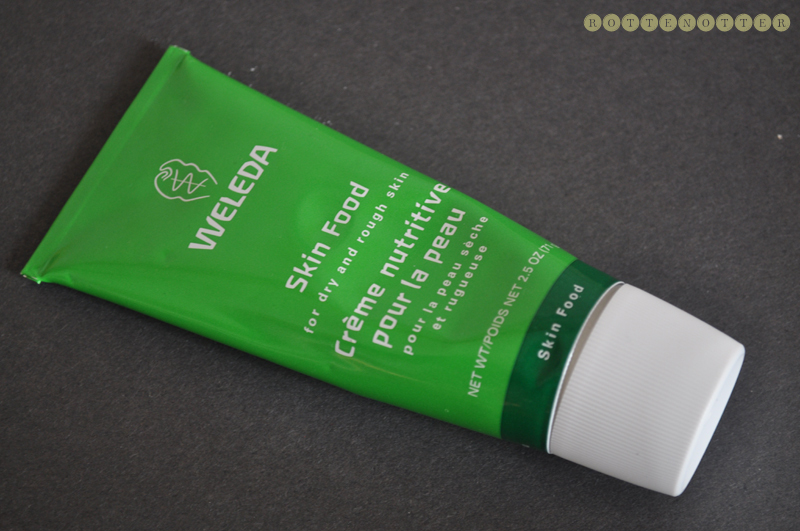 This Skin Food from Weleda* has been a lifesaver recently as my eczema has flared up quite badly so my skin is horrendously dry. I've just been applying it daily whenever my skin is feeling dry and it's worked wonders. Made with organic sunflower seed oil, and extracts of wild pansy, chamomile, calendula and revitalising rosemary extract to perk up tired skin, it is a great rescue remedy for lack-lustre or generally undernourished complexions.Skin Food is delicately fragranced with refreshing essential oils including sweet orange and lavandulae and is the natural choice for everyday care of the face and body. I'm not quite sure how to describe the texture though. It's a really thick cream that doesn't really feel like a balm. Sort of sticky like a thick lipgloss if that even makes any sense! Once blended into the skin it sinks in really well but doesn't leave an oily or greasy residue. The scent is amazing! It reminds me of a mix of Lush's Dream Cream and the typical Liz Earle scent. I love it but I can see some people not liking it. You only need a tiny bit at a time so this 75ml tube (£8.50) will last a long time. It's also available in a 30ml tube (£4.95) which is perfect for travel or to keep in your bag. There seems to be quite a few stores which sell Weleda and you can also browse and buy online. Really glad I was able to try this balm as it's introduced be to a brand I haven't heard of before. I have quite a long list of products I'd like to try. Skin Food has also been sent to London Fashion Week for the models to use and has won a lot of awards. Really great review! Really interested in trying it! Katy, thanks for a great review! I`ve been using Weleda products during my pragnancy. Worked great!